Move over Oprah and Mayor Daley, there's a new book club in Chicago! No, really. This week I am kicking off the new Gapers Block Book Club, and I hope you all will join the Gapers Block staff and me in this new adventure. You may ask why, when it seems every bookstore, coffee shop, library and talk show has its own reading group, I would want to add to the glut. I have two major reasons for starting a new group. First, I want to lead a book club that does not perpetuate the myth that reading groups are comprised entirely of middle-aged women who spend more time talking about their kids and ex-husbands than they do the book. Not that there's anything wrong with that. Secondly, I want to lead a book club that also avoids the pretension of groups that read only "important" books, the folks who gather in smoky taverns to discuss Heidegger -- in German. I have always been an avid reader, and many of my fellow Gapers Block staffers share this affliction. We enjoy talking about the books we've read, getting recommendations from friends, discovering great new writers and rereading old favorites. I hope the Gapers Block Book Club will combine all of these things, but, above all, I want it to be fun. 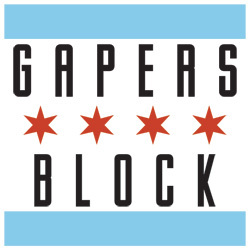 In keeping with the spirit and purpose of Gapers Block, the book club will focus on local writers and books related to Chicago. Fiction selections must be written by a local author, loosely described as anyone who was born, lived or worked in the Chicagoland area. Non-fiction books may be written by anyone, near or far, so long as the subject matter is related to Chicago. Otherwise, no genre or subject area is off-limits: mysteries, science-fiction, poetry, plays, history, memoir, biography -- whatever you like, bring it on. We will read one book a month. This is slightly more ambitious than the biannual One Book, One Chicago, but it is significantly less ambitious than Veronica's goal to read a book a week. Books will be selected by the Gapers Block staff, based on recommendations from the staff and book club members. So, please nominate your favorite books! You may either email me directly at or post your recommendations to the book club discussion list (details below). The first book, Hairstyles of the Damned by Joe Meno, is available at bookstores everywhere. You may also purchase it through Amazon or through our Booksense affiliate. Of course, you don't need to buy the book at all. The Chicago Public Library and dozens of suburban libraries have it listed in their holdings. Check with your local library to reserve a copy. One of Chicago's excellent local bookstores, The Book Cellar at 4736 N. Lincoln Ave., has graciously agreed to host our first meeting to discuss Hairstyles of the Damned on Monday, April 11, 2005 at 7:30pm. 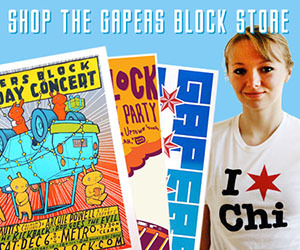 We have established an email discussion list for the Gapers Block Book Club. The list will be used mostly for news, announcements, book recommendations and other items of interest to book club members. Sign up now and join the group, already in progress! Next week I have will have a complete introduction to Hairstyles of the Damned.